Most people think history is only for a few book worms and not for them. And yet we are all part of the rich texture that is the Australian story. Everyone is history and has some history to contribute. Transcription from old typed or hand written documents to digital text. Writing and producing your own family history. These are just some of the tasks required to maintain this complex and ever expanding data base of information about the Light Horse history in the early 20th Century. The good thing is that you don't have to have specific Light Horse information. We are constructing many items relating to the families and local communities from whence these men came. The Light Horse was not an isolated phenomenon but part of a community movement tied into the nature of the Australian cultural landscape. Every man who rode a horse came from a town, had a mother, had a family, had a job or profession, relied upon the infrastructure of Australia to maintain him in the field which required all the industries and facilities in Australia, the ships that transported the goods and all the other support that existed. But it wasn't confined to Australia alone. Included were the British, New Zealanders, French, Italians, British West Indians, Maltese, Egyptians, Syrians, Palestinians, Arabs and Ottoman Turks. In addition, there was the Boer War which included other groups. In this mix, there is a place for your talents. Think about the way you could use your talents to improve the information available on this site. Volunteers go through basically two stages. The first is learning the craft. Posts are moderated to ensure they comply with specific standards that maintain the look and integrity of the site. When this is achieved, usually after about ten posts, then there is unmoderated but edited access to the site. The items that you place on the site are done so on the basis that while you may hold the copyright, it is freely available to the internet for non-commercial purposes on a permanent basis. 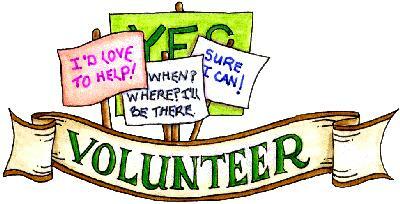 If you do not want to share your work in this manner, then volunteering is not something for you. However, if you have a story to tell and wish to share it freely with everyone else, then this is the place for you. 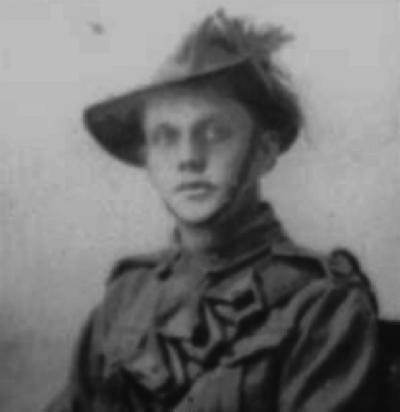 During part of the course of his military service with the AIF, 2823 Private Herbert Leslie Schramm, a farmer from White's River, near Tumby Bay on the Eyre Peninsular, kept a diary of his life. Bert was not a man of letters so this diary was produced with great effort on his behalf. Bert made a promise to his sweetheart, Lucy Solley, that he would do so after he received the blank pocket notebook wherein these entries are found. As a Brigade Scout since September 1918, he took a lead part in the September 1918 breakout by the Allied forces in Palestine. Bert's diary entries are placed alongside those of the 9th Light Horse Regiment to which he belonged and to the 3rd Light Horse Brigade to which the 9th LHR was attached. On this basis we can follow Bert in the context of his formation. The following details the contents of the side bar found on the left of the page. Each heading leads to a thread covering a specific era within the Australian military during the early period of the Twentieth Century. The first item on each thread is a Contents page which provides links to all items that relate to that specific thread. All topics - Lists every post as it appears on the site in chronological order of posting. A Latest Site News - Details all the latest news relating to changes and updates on the site. A - Using the Site - Tips on optimising your use of the site. AAA Volunteers - If you like what you see and feel that you can contribute to the site, think about volunteering some of your time to help out. This link allows you to walk through all the various issues. AAB-Education Centre - For teachers who want prepared lesson plans and research material for class exercises in history. AIF - Aboriginal LH - Australian Imperial Force - Aboriginal Light Horsemen. This thread deals with the contribution made by the Aboriginal people to the Australian Imperial Force. AIF - Badges - Australian Imperial Force - Badges. Understanding the badges attached to the service uniforms awarded during the conflict. AIF - Cars - Australian Imperial Force - 1st Australian Armoured Car Section. AIF - Double Sqns - Australian Imperial Force - Double Squadrons. These were formed to participate in the defence of the Suez Canal in 1916. AIF - Fr - 22 Corps - Australian Imperial Force - France - 22 Corps Cavalry. This was a composite regiment from the 4th Light Horse Regiment and the Otago Mounted Rifles which saw service in France. AIF - Fr - 13 LHR - Australian Imperial Force - France - 13th Light Horse Regiment - which saw service in France finally under the name of Anzac Corps Cavalry. AIF - HQ - 3rd Echelon - Australian Imperial Force - Headquarters - 3rd Echelon. This was the clerical side to the war. AIF - Marching Songs - Australian Imperial Force - Marching songs. A selection of known tunes sung by the men as they marched. AIF - Misc Topics - Australian Imperial Force - Miscellaneous Topics. These items are too diverse and individual to be placed under a particular catagory. AIF - NZMRB - Australian Imperial Force - New Zealand Mounted Rifles Brigade. AIF - NZMRB - AMR - Australian Imperial Force - New Zealand Mounted Rifles Brigade - Auckland Mounted Rifles. AIF - NZMRB - CMR - Australian Imperial Force - New Zealand Mounted Rifles Brigade - Canterbury Mounted Rifles. AIF - NZMRB - EFT - Australian Imperial Force - New Zealand Mounted Rifles Brigade - Engineering Field Troop. AIF - NZMRB - OMR - Australian Imperial Force - New Zealand Mounted Rifles Brigade - Otago Mounted Rifles. AIF - NZMRB - WMR - Australian Imperial Force - New Zealand Mounted Rifles Brigade - Wellington Mounted Rifles. AIF - Ships - Australian Imperial Force - Ships. This thread contains a comprehensive listing of all transport ships used by the Australian Commonwealth during the Great War. Each ship, where possible, has a photograph and details relating to its date of manufacture, size and speed. AIF - Ships - Encountr - Australian Imperial Force - HMAS Encounter - Specific details about the HMAS Encounter including the complete nominal roll of those who embarked upon this ship. AIF - Ships - Una - Australian Imperial Force - HMAS Una - Specific details about the HMAS Una including the complete nominal roll of those who embarked upon this ship. AIF - WFF - Australian Imperial Force - Western Frontier Force. This is one of the least documented actions in which Australian light horsemen took part as it was overshadowed by Gallipoli. BatzA - Broken Hill - Battles, Australia - Broken Hill, New South Wales. BatzA - Merivale - Battles, Australia - Merivale, Queensland. BatzJ - 1st Amman - Battles, Jordan Valley - The First Battle of Amman, March 1918. BatzJ - 2nd Amman - Battles, Jordan Valley - The Second Battle of Amman, September 1918. BatzN - Cocos Is - Battles, Naval - Cocos Islands and the Emden. BatzSe - Senussi - Battles, Senussi - Senussi. This particular section should be read in conjunction with AIF - WFF. The section deals with the various conflicts against the Senussi of Western Egypt in which Australians took part during December 1915 till March 1916. BatzWF - Westn Front - Battles, Western Front - Western Front. This section details every major battle on the Western Front in which Australians took part. In each of these battles there too were some Light Horsemen. Diaries - Personal - This section aims to transcribe personal diaries in chronological order as an additional witness to the events in which Australians took part. Diary - Schramm - Diary - Schramm. This is the personal diary of Bert Schramm transcribed on a daily basis and set alongside the regimental war diary to give it a sense of place. Egypt - This was the base for Australian activities. Egypt - Heliopolis - Egypt - Heliopolis, the area of Cairo where Australian Light Horsemen trained. Egypt - Mena - Egypt - Mena the area of Cairo near the pyramids where Australian Light Horsemen trained. GW - 11 Nov 1918 - Great War - 11 November 1918. What Australia was doing when the war ended. GW - Atrocities - Great War - Atrocities - Answering attrocity allegations. GW - August 1914 - Great War - August 1914. What Australia was doing when the war began. GW - We forgot - Great War - We forgot. These are stories of men who died in the service of Australia but have been forgotten about by the Australian authorities. Gen - Ataturk Pk, CNB - General - Ataturk Park, Canberra. Gen - Australia - General - Australia. Gen - Legends - General - Legends. This thread deals with the many legends that have attached themselves to the Great War. Items like wearing emu plumes or the woman sniper at Gallipoli are dealt with as well as sloppy research. Gen - Query Club - General - Query Club. This thread is derived from the newpaper question and answer column regarding the war. Tk - Bks - Books - Ottoman Turk- Books - Books. Tk - Bks - 1/33IR - Ottoman Turk- Books - The War Diary of the 1st Battalion, 33rd Infantry Regiment, 1915. Tk - Bks - Air Force - Ottoman Turk- Books - Ottoman Air Force. Tk - Bks - Yildirim - Ottoman Turk- Books - Yildirim. Tk - POWs - Ottoman Turk- Prisoner of War treatment. Also served in World War II: enlisted, 17 June 1941, Royal Park, Victoria; discharged, 19 September 1944, as V16185 Sergeant, 3rd Garrison Brigade. Alfred Sydney Goldthorpe absented himself without leave. When he reported for duty was found guilty by a Field General Court Martial of being absent without leave. He was sentenced to one year hard labour although half the sentence was remitted for brave conduct at Gallipoli. The following is a letter written by Alfred Sydney Goldthorpe in an effort to explain the circumstance related to his absence. On 14th February, 1916, I absented myself from the unit with the intention of renewing acquaintance with some old ship mates on board the SS "Patani", (Capt. J. W. Lawson), lying at Port Said. (I was in the Merchant Service prior to enlistment in the AIF). The following day (15/2/1916), after a drinking bout with my friends, I awoke to find myself on board this vessel and before I could be placed ashore, the ship was ordered to proceed immediately on its journey to Salonica with supplies for the British Troops. On the Captain being informed of my presence on board ship, he stated that it would not be possible to put me ashore and I was then prevailed upon to sign on the ship's articles as Assistant Cook. At the time there did not appear to be much opportunity of the Light Horse being engaged in immediate hostilities and, as I was informed the ship would return to Egypt after discharging her cargo, I was not unduly worried about my position, particularly as the ship was engaged on Government Transport Service. Instead, however of returning to Egypt, the ship proceeded to Canada to pick up a cargo of locomotives and other railway material for delivery at Le Havre. From Le Havre we went to Newport, Monmouthshire, where on 19/5/1916 I was paid off owing to a recurrent attack of dysentry contracted on Gallipoli where I had served from approx. 15 May to the end of September. As soon as I was recovered from my illness, I reported to AIF Headquarters at Horseferry Road, where I was placed under arrest and sent to Salisbury Plains where I remained for about two months awaiting court-martial. As so much time was spent in preparing the charge against me, I considered that if I could be tried by Light Horse Officers, my case would be treated more leniently than by officers of a different arm of the Service and I accordingly broke arrest and by devious ways (I like that bit!!!) returned to Egypt where on 9th December, 1916, I reported in uniform to my Unit. The finding of the Court is probably known to you as also is my subsequent service, promotion and award of the Military Medal, and I would like you to know also that when I decided to visit the "Patani" at Port Said there was absolutely no thought in my mind of desertion from the Service. Had I desired this could easily have been accomplished at the various ports of call of the "Patani", particularly in Canada, but, as the ship was engaged on transport work, I was doing my bit towards the successful conclusion of the war. I trust therefore that the above explanation will be satisfactory to you and that my transport service may be considered work of a military character. A Tasmanian Light Horsmen photographed in the 1880's. The following is an extract from the book by Hall, RJG, The Australian Ligth Horse, Melbourne 1967, pp. 15 - 23. The second period of development of the Colonial Forces received a favourable impetus by the outbreak of the Franco Russian war and a highly coloured suggestion that a naval "filibustering" expedition from San Francisco was to raid Sydney. The inhabitants of Sydney recalled, no doubt, the occasion in 1839 when Commander Wilkes, with two United States cruisers, entered Port Jackson and anchored off Circular Quay without anyone knowing about it until the following morning. The Naval and Military Act (1871) provided the means of raising permanent forces. The national lack of confidence in matters military now made itself shown. An appeal was made in 1876, for the assistance of a military personality. This was to be repeated in 1938 when General Squires, British Army, was invited to become Inspector General of the Australian Military Forces. The result of the 1876 appeal was the appointment of Major General Sir William Jervois GCMG CB (1821-1897), as Governor of South Australia and Commissioner of Defences for all colonies with the exception of Western Australia. The subsequent reports did little for expansion of Mounted units, as they were based upon the British fleet's command of the seas. Emphasis was placed upon armed vessels and forts. The greatest value of the reports of Jervois and Lieutenant Colonel Peter Scratchley was their advice on the question of partially paid militia. The best way of ensuring regular attendance at training periods, they contended, was to provide pay. Whilst this disregarded the potential of the spirit of youthful adventure, it was a sound approach in a community which was still developing its rural industry. The position occupied by the horse in the community and the areas in which it was used were to be great factors in the development of the Light Horse centres. As the rural districts spread, so communities were established where the horse was a vital means of transportation. The decline in the standard of horse flesh, when industrialization made its presence felt, naturally occurred in the capitals and centres of the major secondary industries. This decline can be easily traced in the 1921 regimental linkings. The service of the militiamen, as distinct from the permanent soldiers, was on a part time basis. The militia service of the mounted troops, from the first, became associated with the district in which they worked. The history of these districts is almost the rural history of Australia. The rural territories, whose activities are now finding their place in the commercial world at home and abroad, are monuments also to the enthusiasm of the light horseman. They were to bear these names as troop, squadron and regimental identities for the many years of their militia service. The following section is devoted to a brief territorial description of these centres and the regiments appearing therein up to 1901. Captain James Cook RN, a valued servant of the Empire, took possession of the whole of the eastern coast in 1770 and called it New Wales, later altered to New South Wales. As the initial colony, and by general acceptance (at least by New South Welshmen), New South Wales has the accolade of senior State. Therefore, the use of the title as part of the territorial identification of regiments has certain significance. The senior of these regiments is undoubtedly the New South Wales Lancers who, in 1884, first raised a mounted troop called the Sydney Cavalry Troop. When Major General Richardson, the Commandant of the New South Wales defence forces, returned from the Sudan, he converted this troop to Lancers -probably the first volunteer Lancers recorded. By 1893 the title, New South Wales Lancers, was in popular use. The second "parent" New South Wales regiment was the Mounted Rifle Regiment and owes its origins to the permanent Mounted Infantry raised in 1888. Costs and local depression caused the untimely disbandment of the regiment in 1890, but the districts of Mudgee, Camden and Forbes retained their association with the state and descriptive title, to subsequently raise troops of the New South Wales Mounted Rifles. A volunteer unit, titled 1st Australian Horse, was recruited from the districts of Cootamundra, Gundagai, Goulburn, Tamworth and Armidale, in 1897. When the original unit passed away with Federation, the title was to resound within the Empire and beyond, after the actions of the Australian Commonwealth Horse in South Africa. In 1892, Captain Henry John Rouse RN explored two rivers which he named the Richmond and the Clarence. In 1885, the Upper Clarence Light Horse was raised by Captain Chauvel, whose son General Sir Harry Chauvel [GCMG, KCB, Commanded Desert Mounted Corps 1917/19. Inspector General in Australia 1919/30. CGS 1922/30. Born Tabulam, 16 April 1865, died 4 March 1945.] was to distinguish himself as one of the great Australian military personalities. The unit recruited from Tenterfield, Tabulam, Casino, Fairfield and Cullenden. As the numbers increased, there emerged the Tabulam Mounted Infantry (later to become the Tenterfield Mounted Infantry) and the Richmond River Lancers (later to become the Northern Rivers Lancers). Early in the history of the colony, some enterprising convicts, somewhat dissatisfied with their lot, obtained a boat and departed for more suitable places. Lieutenant John Shortland RN, whilst conducting an unsuccessful search for the absconders, discovered an attractive river which he named the Hunter, after the second governor. The districts surrounding the Hunter River originally supported rural industries. Later, with the discovery of coal deposits, the towns of Maitland, Newcastle and Singleton cut into the natural grounds for supporting horses and horsemen. The influence of the Royal Navy continued to be recorded in the Light Horse story. Lieutenant John Oxley RN, in the course of one of his frequent trips of exploration, came upon a rich pastoral area in the North East of New South Wales. In 1818, he named this district, New England, “because of the similarity of the climatic conditions to those of Britain". Despite the apparent poetic licence employed by Oxley in his justification of the name, he was later to become a member of the Legislative Council of New South Wales. Some of the recruiting areas for the Australian Horse (1897) lay within the New England district, giving the first New England Regiment (1902) a distinct link with pre-federation organizations. The Gwydir River flows from the New England mountains into the Darling River, after passage through the pastoral districts on the Queensland border. Although the Gwydir Regiment was not to appear until 1937, mounted troops were raised from the districts of Armidale, Inverell, Glen Innes and Moree from 1897. This district is generally described as being that bounded by the Murrumbidgee and Murray Rivers. However, in the early part of the century the name was applied to the districts north of the Murrumbidgee as well. Once again, the Australian Horse recruited in this district before the Riverina Regiment came into existence in 1937. Lake Illawarra lies just south of Wollongong. A light horse troop was recruited from this district as early as 1885. The regiment bearing the Illawarra title later recruited as far South as Milton on the east coast. The activities of bushrangers in Victoria in 1854 and the popularity of seeking, finding and transporting gold, caused the appearance of a Light Cavalry Company; the 40th Regiment (2nd Somersetshire) (1852-1860) mounted one of their companies and equipped it as a light Cavalry. The first Victorian titled regiment came into existence in 1862, when part of the Prince of Wales's regiment and the Royal Victorian Mounted Artillery amalgamated as the 1st Victorian Volunteer Light Horse. For a while, titles and uniforms were more significant than actual training, until the Victorian Mounted Rifles were raised in 1885. This unit rapidly attracted a large number of recruits and they attended a Field Camp near Queenscliff during Easter 1886, with nine companies all mounted. The VMR had detachments in Broadford, Yea, Avenel, Cathkin, Mansfield, Rushworth and Shepparton from the First Battalion, and at Ballarat, Clunes, Talbot, Maryborough, Elmore and Wharparilla from the Second Battalion. Lake Corangamite is one of the largest natural inland waterways in Victoria and was discovered in 1837 by an explorer named McLeod. He apparently used a native name and early maps show it to be spelt as "Korangamite". In 1885, Colonel Tom Price raised the Victorian Mounted Rifles, the second battalion of which recruited in the districts to north and east of the lake. By the time the title "Corangamite" was to be employed, recruiting for the Victorian regiments had been extended as far west as Camperdown. The Yarrowee River is first related to the Victorian Cavalry in records of the Prince of Wales's Light Horse (Hussars) (1862-1883). Many rural settlements along the banks of this river raised independent troops prior to 1862 and became part of the Prince of Wales's Light Horse in 1862-63. Infrequently used as a name today, the lndi district was the area of the upper Murray to the Ovens River. The Victorian Mounted Rifles had detachments at Wangaratta, Beechworth and Rutherglen in 1885. These centres continued to support this very popular unit up to Federation and one finds both "lndi" and "VMR" used in the naming of the early post federation Light horse regiments. Angus McMillan first discovered the forest areas in the south east of Victoria, but it was Count Strezlecki who gave to it the present name in honour of Sir George Gipps a former Governor of New South Wales. The Gippsland district was developed as, and continues to be, a rural and timber area. Early horsemen also belonged to independent troops and subsequently saw service with the Prince of Wales's regiment and the Victorian Mounted Rifles. Captain James Cook, during the course of his explorations of the eastern part of Australia, entered an inlet to the North of Botany Bay. On 17 May 1770 he named this inlet Moreton Bay, in honour of the Earl of Moreton. Settlement of the area did not commence until 1824, when Lieutenant Miller commanded a detachment of soldiers and convicts who established themselves on the Brisbane River. In 1860, two troops of mounted infantry were raised in Queensland. They were known by their district titles as The Brisbane and Ipswich Troops respectively. 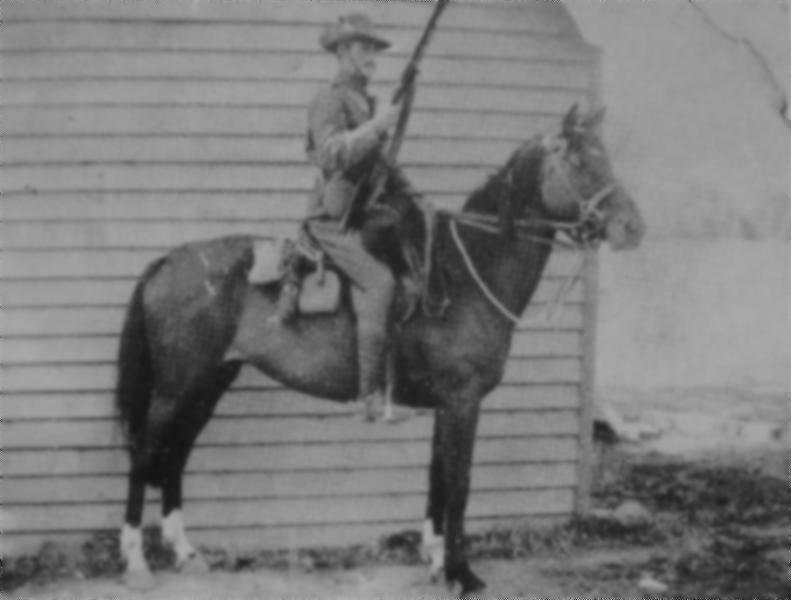 As further troops were raised in the surrounding areas, the title of the Brisbane Mounted Rifles became more frequently used during the years 1877-1885. In 1891, the Brisbane troops and those from Dalton and North Pine were formed into the "Moreton Mounted Infantry". In 1900, the title Queensland Mounted Infantry was applied to all the Mounted Troops. The Burnett River was named after Charles Burnett, in recognition of the great service he gave with the Surveyor General's office in NSW. The title as a regimental identification was not used until 1927. This district, bounded roughly by the Burnett River in the North, the Boyne in the West and Ipswich in the South, became a prolific source for the mounted militia. In 1887, the districts west of the Moreton settlement were opened up by the botanist Alan Cunningham and the Darling Range was named after Sir Ralph Darling. In 1891, when the Brisbane troops formed the "Moreton Mounted Infantry", those troops located at Warwick and Toowoomba became the Darling Downs Mounted Infantry. Colonel William Light sailed from England in 1836 to survey for the new Colony of South Australia. He was followed by the first governor, Captain John Hindmarsh RN, who presided over the new (Adelaide) settlement on 28 December 1836. Five years later, a squadron of cavalry was formed in Adelaide and they took the name of the Adelaide Lancers. This name changed, in 1884, to the Adelaide Mounted Rifle Corps with troops at Molong, Adelaide, Strathalbyn and Reedbeds. In 1899, the unit had adopted the State title of Fourth Australian Mounted Rifles with troops at Yankella, Inman Valley Port Victor, Jamestown, Mount Gambier and Wallaroo. Colonel Light formerly served with the 4th Dragoons. During the Peninsular War, the British troops, which included the 4th Dragoons, defeated Marshal Victor at the "Heights of Barossa". On finding some hills in South Australia with similar features to those original heights, he named them the Barossa Range. The title Barossa did not appear until the reorganization following the Great War. In 1829 Western Australia was proclaimed a British Colony at Fremantle. The pattern of individual mounted troops appearing briefly in the mounted firmament, then falling into disrepair and disbandment was also evident in Western Australia. One of the earliest of these troops was the Pinjarra Mounted Rifles raised in 1858. The Guildford Mounted Rifles appeared in 1887 and between 1895 and 1899 a number of troops appeared in Perth only to fade away in the face of other interests. The first use of a state Title occurred in 1900, when the Western Australian Mounted Infantry had detachments at Perth, Victoria Park, Cannington and Fremantle. The Bunbury Rifles had a mounted detachment in 1899. All these areas were to become the districts for the Western Australian Mounted Infantry following Federal reorganization. The mounted troops in Tasmania are first recorded in 1860 when the Launceston Mounted Rifles are shown. By 1865 these troops rejoiced in the title of the 1st Light Cavalry Corps and remained thus until 1887. The Tasmanian Mounted Infantry was formed at Ulverstone during 1889.